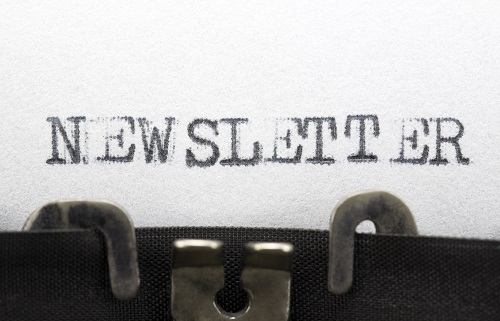 Not getting enough opens and clicks on your E-Newsletter? Maybe it’s time to rethink your methods. You could have a great story to tell or some really useful tips for your mailing list, but if it’s not done right you could be missing out. People like content that is visually attractive. Eye-catching e-newsletters are more likely to be read than something that is just endless text or simply looks uninspiring. Luckily, services like Mailchimp and Campaign Monitor have many tools you can use to make impactful newsletters – and they’re also easy to use. Create a template that you can use for all your campaigns as this will save you a lot of time in the long run. Make sure each section is split up so it’s clear to the reader by adding headers and dividers. Once that’s done, add a bit of your brand to the mix. Do this by changing the colour of your text, borders and boxes so people get your brand message before they even read anything. This is the most important thing: most emails that don’t get opened go straight to trash because they fall at this first hurdle. You need to capture your readers’ imagination and show the benefit they will get from opening the email, all in a very few words. Recently, we have found that our own e-newsletters with GDPR in the subject line have had much higher open rates than normal, as our readers have seen at a glance that we were sharing expertise with them that they want to know about. Comedy: A great way of making someone want to click is putting a smile on their face. Intrigue: One way of drawing someone in to open your newsletter is to pique their interest by creating a subject that makes them curious to learn more. Lists: Everyone loves a top-ten list as it’s easy to follow and doesn’t take up too much of their time. Urgency: Without being too obnoxious, making something time relevant might make your readers want to find out more before they’re too late. Ask a question: Posing a question is a good way of making someone want to carry on reading the article so they can find the answer. You need to grab people’s attention and inspire them to want to read more, but you don’t want to give too much away, or they will see no need to click through – and you have just a couple of seconds in which to deliver this before they close your email. No pressure then! Make sure your content is short, sweet and to the point, with attention-grabbing headlines, while giving people a reason to click through. They need to see the benefit of taking further action. Now you can add your content to the template and make it look brilliant! This bit shouldn’t take too long as it’s just a case of uploading what you’re already written. For the best results, add some imagery to each section so readers are drawn in. Getting the size right is key; too big and it can take up too much of the screen and be overwhelming, too small and it might look a little sloppy compared to the rest of the template. Remember to check how it looks on both laptop and mobile. As with most marketing channels, timing is a key factor for success. We’ve found that you’ll have a higher chance of people seeing your newsletter if it’s in the morning when they’re checking their other emails, so try scheduling around the time your readers are most likely to be on their computer or phone, otherwise it might just sit in their inbox and be forgotten.